This month is all about blending! Derwent Inktense Pencils are as versatile as watercolor pencils, but with a firmer texture that allows them to perform with the brilliant intensity of traditional pen-and-ink. These pencils are available in strong, vibrant colors which work beautifully on their own or can be mixed together to create rich, subtle tones. Next up we included a Derwent water soluble HB sketching pencil. A truly unique graphite pencil that can be used to achieve a wide range of effects from line to wash drawings, making them perfect to pair with the inktense pencils this month. We also included a Le Plume watercolor marker. We love the dual tips and waterbased ink in these markers. The ink is blendable with water and other watersoluble mediums making it the perfect versatile addtion to this month’s box. To incorporate water and blend the mediums this month we included a bamboo brush from Princeton. Ideal to blend the inktense pencils, this bamboo brush is excellent for creating a variety of interesting brush strokes. The durable, natural hairs are set in a bamboo handle creating a high-quality traditional feel. Finally we included a Prismacolor Premier brush tip marker. These versatile markers are acid-free, non-toxic, lightfast, archival and perfect for a spectrum of uses. They were created for artists looking for the flexibility and control of a brush to create smooth flowing areas of color and intricate details. 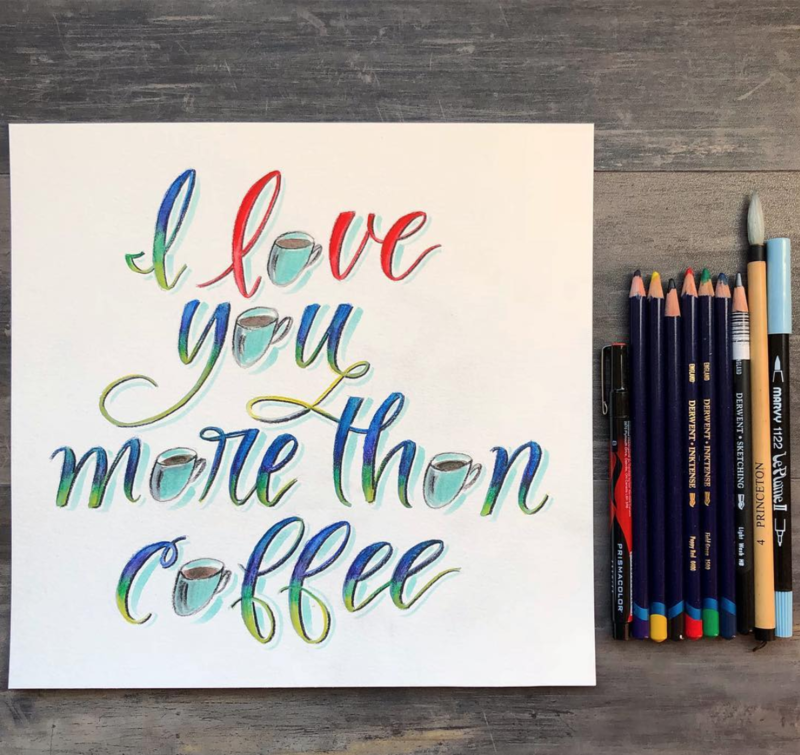 The beautiful hand lettering in this image was done by @ diamondandwillow on instagram - check out her account for more incredible art!